Under so-called net metering, customers receive credits on their bills for the unused energy their panels produce. Most states have such policies, but the amounts vary, with some offering credits near wholesale energy prices and others, like California, offering the retail rate. 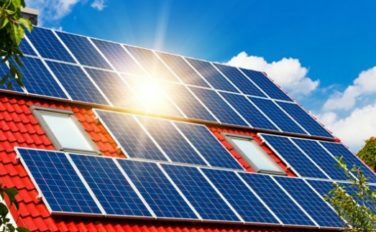 Solar advocates and installers say customers should receive the retail rate because the power they generate helps the electrical infrastructure, by lowering strain on the grid or helping reduce the need to buy power at expensive prices in times of high demand. But some ratepayer advocates and the utilities, which lose out on electricity sales and some of the infrastructure costs that are bundled into retail rates, say that solar customers put an undue burden on nonsolar customers, who must make up that shortfall. In California, regulators sided mainly with the solar industry and its proponents and generally rejected proposals to reduce the net-metering credit and add a slate of new charges, though it added some new rates and fees. The net-metering program, narrowly approved by a vote of 3-2 by the California Public Utilities Commission, will require that new solar customers pay a one-time interconnection fee, estimated between $75 and $150, and begin paying fees of a few cents a kilowatt-hour that most other customers already pay. Those charges fund low-income and energy efficiency programs. Solar customers will also be compensated at different rates depending on when they send their excess power to the grid, a change that will alter the economics of the system but not undo its appeal, experts said. The changes do not affect customers who already have solar panels or who install them before the utilities in their area reach certain levels of rooftop use in their service territories, which the California Solar Energy Industries Association, a trade group, estimates will happen by early next year. And regulators, who are to re-examine net metering again in 2019, left open the possibility that they could revise or add charges. Bernadette Del Chiaro, executive director of the California Solar Energy Industries Association, said the decision was an important statement that California would continue to develop microgrids and decentralize energy production. Solar executives concurred. “Solar customers have to pay more, but it’s still a viable solution and it will still allow for a growth market in the state, and at the same time provide more benefits to the grid,” said Lyndon Rive, chief executive of SolarCity, the country’s leading rooftop solar provider. But utility executives expressed disappointment. San Diego Gas & Electric said that setting credit levels so high would add an extra $300 to the annual utility bills of nonsolar customers by 2025. “We are very concerned that the cost-shifting associated with the tariff will place increasingly heavy burdens on the 95 percent of customers without rooftop solar, including low-income families,” Matthew Freedman, a lawyer at the Utility Reform Network, a ratepayer advocacy group, said in an email. Other important solar states like Hawaii and Arizona have enacted less generous policies, but none have gone as far as Nevada, where regulators decided to end, over five years, retail-rate credits for solar customers in favor of a wholesale rate, dropping in some cases to a little more than 2 cents a kilowatt-hour from almost 10 cents, for new and existing customers.